Educating your children is a great way to protect them for Internet use. But sometimes it’s just not enough. Internet use protection has several levels, from warning your kids to using parental controls to ensure your children are safe – which, after all, is the whole object of the exercise. The question, of course, is when you need to use software parental controls with your children, and what you should use, as there are so many options available – and that doesn’t just mean competing brands, but levels of protection for Internet use. When Do You Need Internet Use Protection? There are different schools of thought about the need for parental controls on a computer. For many, having the computer in the living room, where parents can keep a check on what their children are doing, is adequate, combined with the usual firewall, antivirus and antispyware to prevent malware infecting the machine. Others think that some parental controls are a good idea, especially with younger kids, to stop them visiting sites that are bad, either by clicking on links or just by accident. Some will just employ Internet use protection for instant messaging services, which kids use from an early age these days. Essentially, it’s up to you, and what you feel is appropriate. You know what feel comfortable, and you know your children. Parental control software for Internet use has become very sophisticated these days. There is freeware and shareware software that doesn’t cost you as penny, as well as other products that are for sale. With software for sale, there are many, many settings available, from simply filtering content and blocking sites to having alerts sent to your own e-mail when your children try to access something they shouldn’t. Some software will let you log in from another computer and change the settings, as well as having times to limit the Internet use of your children, or send you chat room logs.That might seem a little excessive, and you don’t have to use it all. Indeed, the range of choices is so wide that you’ll be able to find something that meets the needs of the parental controls you want to impose. Some parents will be especially concerned about chat rooms and instant messaging. Not only is that where predators are likely to prey on your children, but it’s also a forum for cyber-bullying. 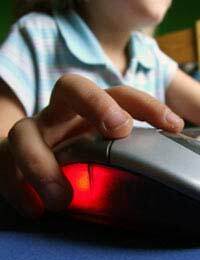 The most comprehensive parental control software will include logs from chat rooms or instant messaging, but there’s also software that works in Windows Live Messenger (arguably the most popular instant messaging service with kids) that stops contact with unidentifiable contacts – you can even create a list of those your kids are allowed to chat with. Taking you onto much shakier ground is the use of keylogging software. This notes everything your kids type, records it, and sends it to you via e-mail. Essentially, it’s spying on your own children, and though it can be very effective, it’s not exactly Internet use protection. It’s also something that shouldn’t be used lightly. If your children find out you’ve been using it, it can cause a great deal on confrontation and a breakdown in trust.